Field Monitoring Visit for the Erasmus+ ICM projects at Polytechnic University of Tirana. Erasmus+ Office in AlbaniaActivitiesField Monitoring Visit for the Erasmus+ ICM projects at Polytechnic University of Tirana. The NEO + staff conducted on December 21st, 2016 the field monitoring visit for the International Credit Mobility projects in implementation by the Polytechnic University of Tirana. 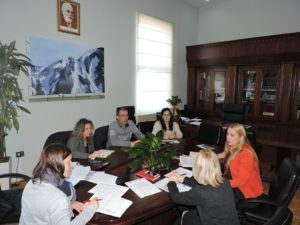 This event served to ensure that all binding documents for ICM implementation were signed, for monitoring the fairness of criteria used and transparency of the selection process of participation in mobilities, to enquire on service provision to ICM participants and recognition of the credits earned by them during the mobility period by the Polytechnic University of Tirana, as well as for NEO staff to give recommendations for the improvement of ICM projects implementation in the future. 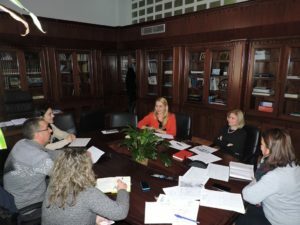 During the September 2015- December 2016 timeframe, the Polytechnic University of Tirana has implemented 13 Erasmus + ICM agreements with HEI’s from 8 programme countries.